Flatscreen televisions are very popular at the moment. They are the newest technology and eveyone loves the look and design of flatscreen televisions. You can even decorate your home depending on the style with a flatscreen television. There are many ways you can mount these televisions to fit your needs and style. If you have a stone fireplace and you want to mount your flatscreen onto it, here are a few tips. 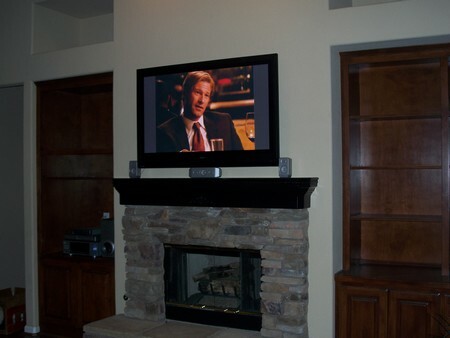 Here is how you can mount your flatscreen television safely on to a stone fireplace using a mount. It’s quick and easy. You need to find the rigth television mount for your needs. Make sure to purchase a television mount that can support and bear the weight of your particular television set. Take the dimensions of your television to the store with you can compare them against the mount you are considering for purchase. Measure you flatscreen television accurately. Choose where you want to have your television on the fireplace. Draw yourself a light guide to help you stay on track while mounting the television. You can use chalk to make sure you are on target during the process of hanging the flatscreen television up . This can also ensure that the flatscreen television is centered. You want to mark off the screw support placements onto te rock fireplace. Place the mount against the rock fireplace. Mark of the points where the screws will have to be inserted for support. Use a level to ensure that the screws will not be on a slant, crooked or otherwise inaccurate. You don’t want your television hung crooked or on a slant. This could increase the rik of the television falling off of the fireplace after it has been mounted. This could destroy or damaging the television set completely. Use a drill with a diamond bit to make a 1 inch hole in the stone fireplace. Be very careful that the holes are the right size. Make sure the drill bit is the same size as the screws that came with the mount. The hole has to be accurate to provide a firm base to hold the weight of the flatscreen television. Place your flatscreen television on the mount. Mounts are not all the same. Check the specific instructions that came with your mount before you place your flatscreen television on it. Follow the manufacturer’s instructions. This will prevent any mishandling or accidents.